"It is a day before the exams, and I still have a whole lot of stuff to cover! " I used to have this problem too. However, I was lucky enough to find a way that works for me. In fact, my A levels and O levels was rather relaxing, as I have completed my revision in advance. In this post, I will be sharing with you ways to complete your revision --- on time and effectively. Let's face it, there are an infinite number of stuff we can revise. From textbook, to notes, from assessment books to prelim papers and to ten year series. If you want to finish all of them, chances are going to be slim. As such, make a list of what is important to be part of the revision. Remember you need both content and practice. For all subjects, there is some content you need to memorize or be familiar with. I suggest you choose one good source of content to revise. Just one. It could be the textbook, summary notes you made, notes your school gave and so on. Just one set of notes that covers the content tested will be sufficient. Content is just content, as long as it is good content, you do not need to memorize many different sources. For practice, choose what you want to practice. The ten year series should be one, if you are sitting for O, A or N levels in Singapore. Apart from that, you may like to include the past exam and test papers from your school plus 4 to 5 other past prelim papers. That's it. Don't try to do every single prelim papers in the market. You stilll need time to revise what you have done. There is no point doing a lot, and not doing corrections and revising your mistake. Once you set the list of items you want to revise, the next item is to decide what is needed to complete the revision. For content, it could be memorizing the text and testing yourself, or it could be reading the text three times, etc. Choose one that works for you. For practice, you can consider doing the questions, marking, doing corrections and then going through selected questions. Look at how much time you have and make sure there is enough time to complete the revision. If there is not enough time, cut down on what you do. Keep the very essential ones. This is the most important step. Do as planned! 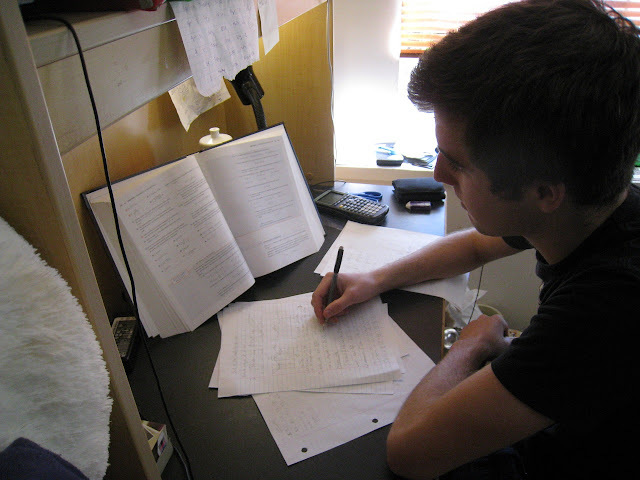 A common test, mock exams, school prelims are great times to test how well your revision has been. If the results are what you have hoped for, then great this revision method is good. If not, review why. Could it be you missed out some text? If so, add to your revision. Or it could be not enough practice? If so, add more practices into your revision. This review step is important, as it refines your revision. After a series of refining, you will generally have things that work well for you.